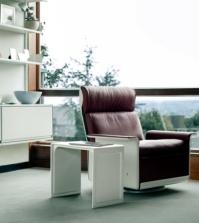 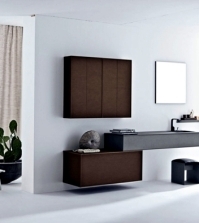 Minimalists have trouble looking for the perfect set of furniture. 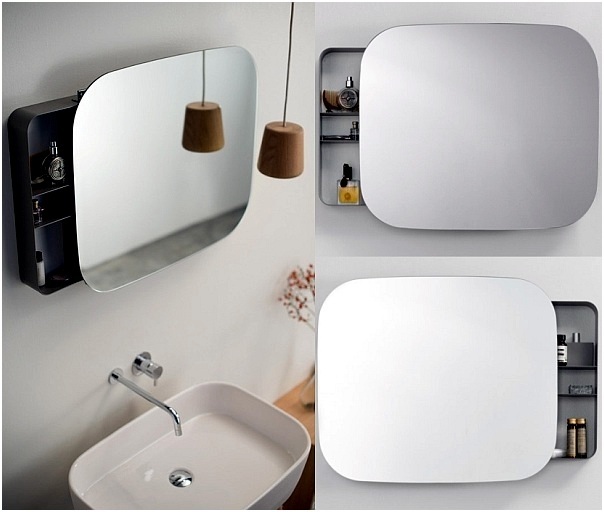 Ray vanity and mirror set designer Michael Hilgers reduced details and soft shapes, making it very compact and minimalist design. 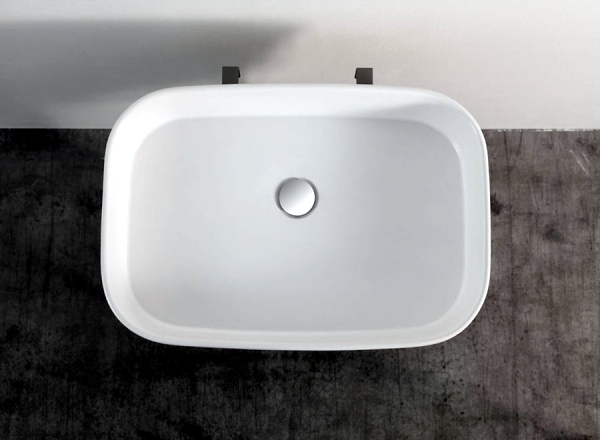 Designed for Italian brand Ex.t bath has an invisible sliding mechanism that allows it to two small compartments to hide behind the mirror. 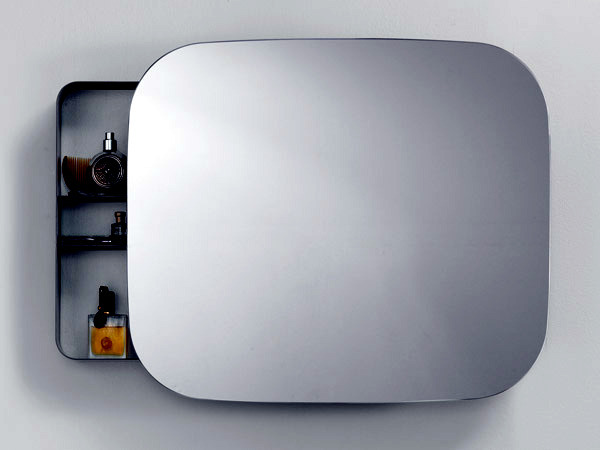 The pull-out compartments allow the user to store their toiletries and cosmetics properly. 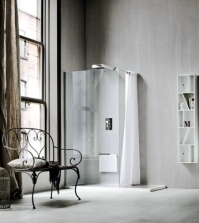 Unlike cabinets usual amenities that you do not need to keep cosmetics in hand while looking in the mirror apply. 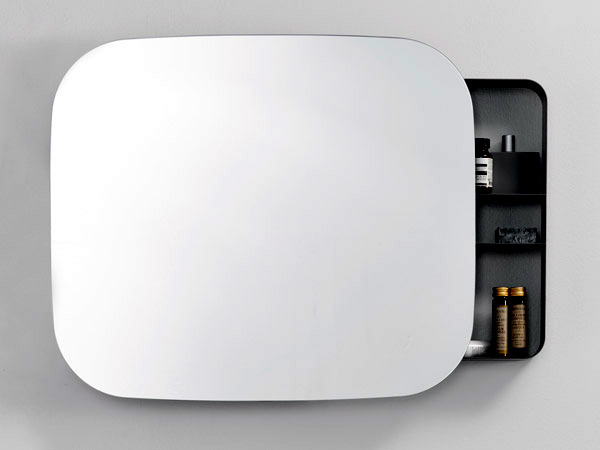 The pull-out shelves give the user the possibility of carrying all your stuff without removing his eyes from the mirror. 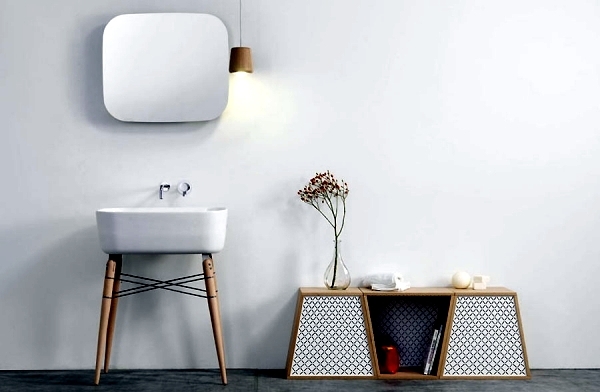 The Mirror Ray was developed taking into account the needs of minimalist design concepts that look elegant, but without seeming out of place. 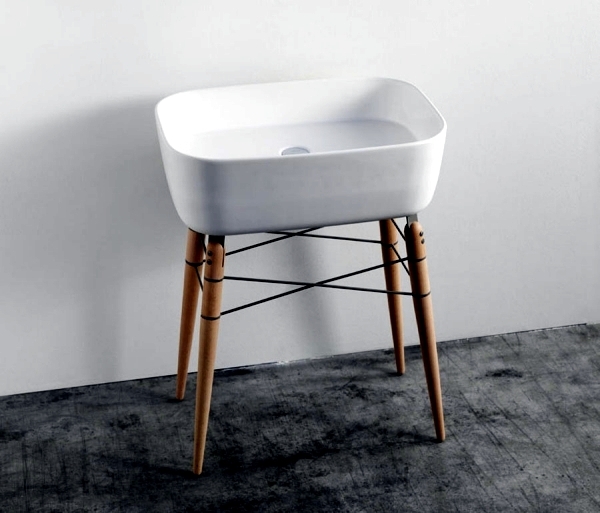 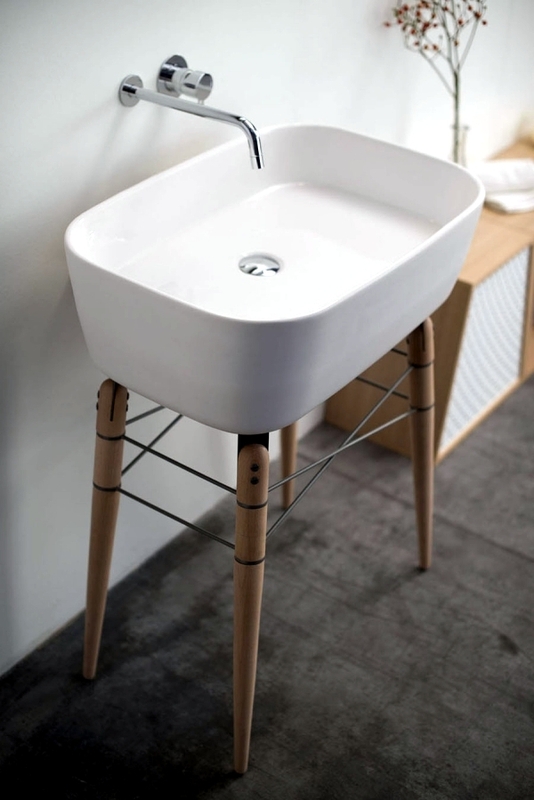 The mirror is combined with Ray ceramic sink, standing on wooden legs. 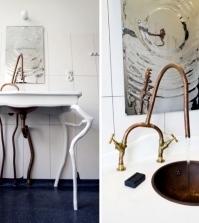 The legs are attached with a thread of painted steel and can be used as a towel holder. 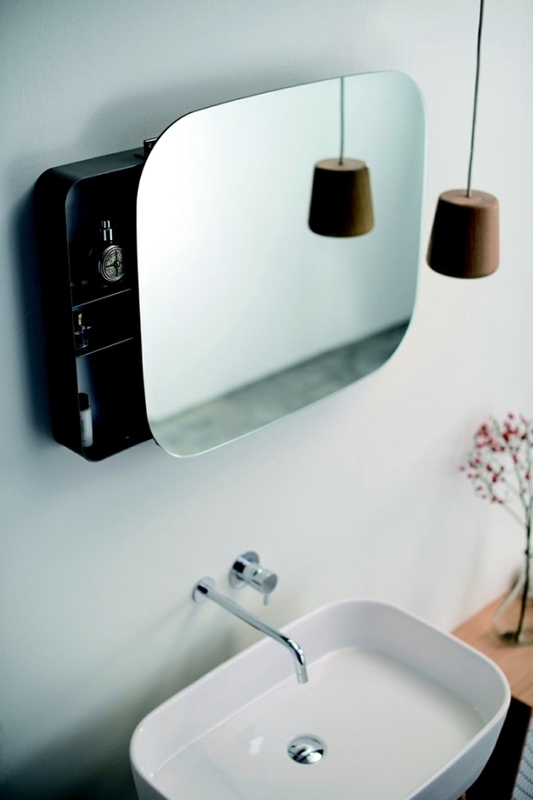 The retro look of the vanity does not allow congestion and exudes a Tuscan aesthetic and authentic charm. 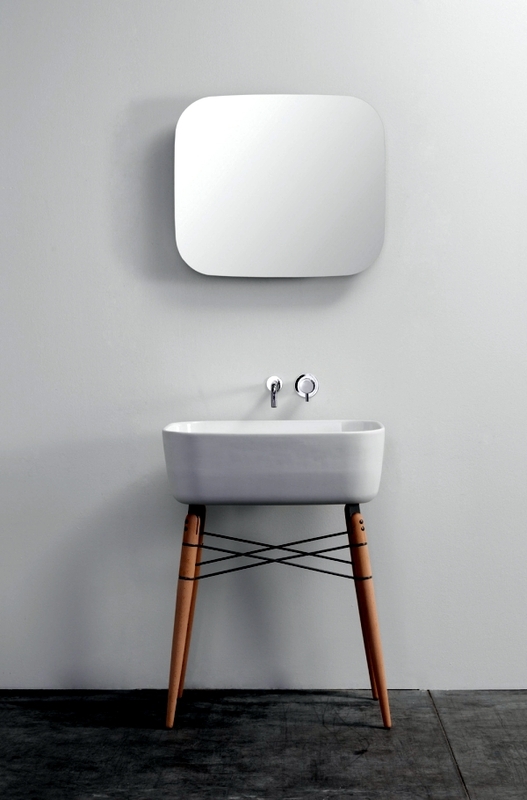 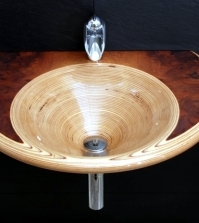 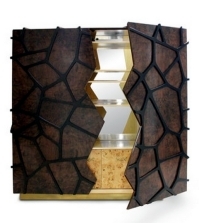 The basin Ray is also designed to fit perfectly to the shape of the mirror. 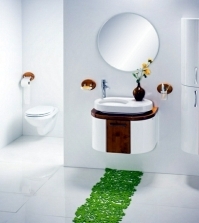 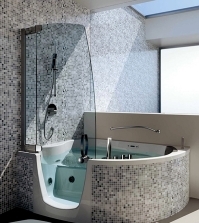 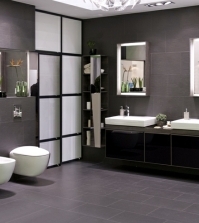 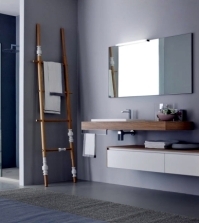 All furniture bathroom is suitable for small and stylish bathrooms complement.